I think after four days in, everyone wondered if we'd make it this far. The horrible reality is that some haven't. There are far too many that called America home five weeks ago that aren't here today. There are many more whose rights and existence are threatened. Calling my representatives and writing to them has become a permanent item on my to-do list every week. This is a combined effort of multiple progressive groups. Held during the first congressional recess, the goal is to attend town hall meetings and other events to connect with elected officials. There is meeting and petition information on their website. But not just anywhere. 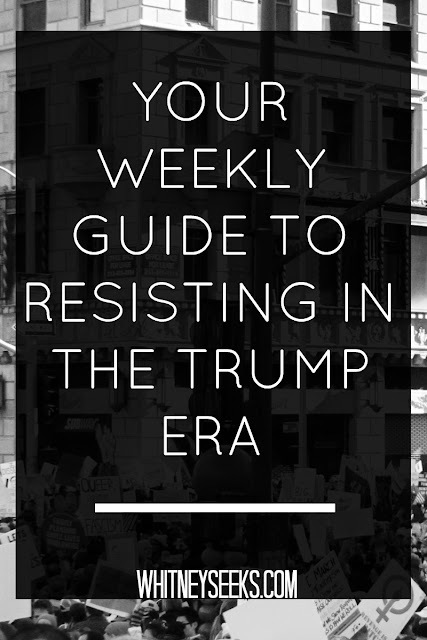 Take your business to restaurants in your area that were closed for A Day without Immigrants. Let them know you appreciate their stand and you support them. This isn't limited to restaurants- any shop or other business that was closed deserves your patronage. Spread the word. 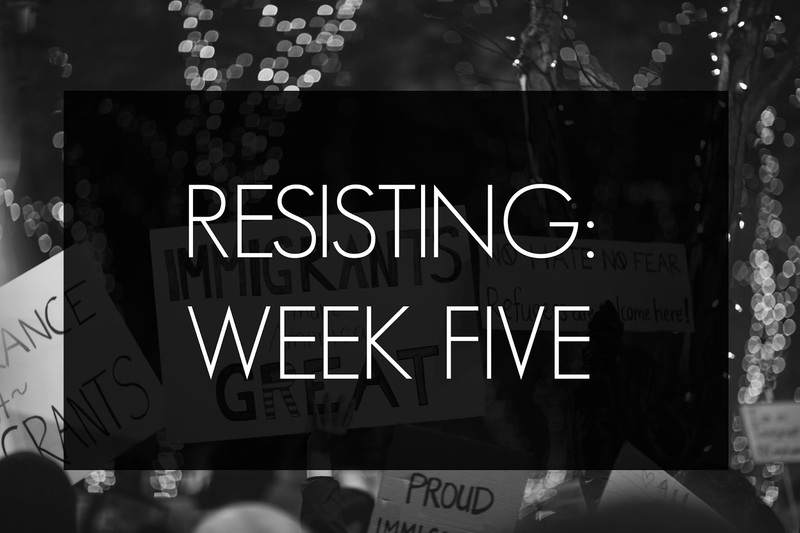 This is week five in a series of resisting in the reign of the Trump. Past weeks can be found here.